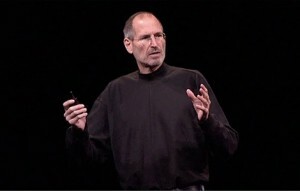 If you would like to see Steve Jobs talk about the iPhone 4 at today’s press conference for yourself, you can. Apple posted the video on its Web site this afternoon. Apple held the press conference today to talk about the antenna performance of its new iPhone. While the company didn’t do the recall that some people expected, they did offer users a free case to help resolve the problem. Late next week, iPhone 4 users will have the opportunity to choose a case from Apple’s Web site and have it sent to them. Jobs showed during the press conference that the antenna issues are not specifically iPhone related. He showed the same problem on the Blackberry Bold 9700, HTC Droid Eris and a Samsung phone.